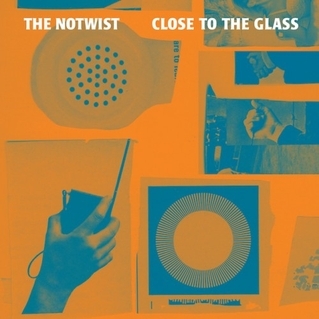 Lest we forget, The Notwist began as a grunge/metal band in the late 1980’s but since then they have largely indulged in the parameters of inventive post-rock and sweetly melodic electronica; fondly associated with memorable singles such as ‘Pilots and ‘Pick Up The Phone’. Their much-heralded album of that time, 2002’s ‘Neon Golden’, should have been a springboard to further success but instead it led to a surprising six year hiatus before their next record (‘The Devil, You + Me’) and the band do the same again for this year’s ‘Close To The Glass’. The story of their eighth long player begins in a somewhat uncompromising manner. ‘Signals’ is certainly not pop. It’s a rather awkward number, full of electronic squiggles and off-kilter rhythms, with frontman Markus Acher not trying desperately hard to make sense of any of it. The title track is a little more like it but the repetitive, jarring rhythms threaten to overshadow the ghostly harmonies and it’s not until track three, the lead single ‘Kong’, that the first real song emerges. It’s a catchy little story-based number based on Acher’s childhood memories of superheroes with a tune which recalls fellow indietronica act The Postal Service. Thereafter, the uneven nature of the record continues to dominate. ‘Casino’ possesses those familiar levels of The Notwist’s warmth thanks to a comparatively simplistic set-up of acoustic guitar and Acher’s heart-tugging vocals and ‘Steppin’ In’ seems to be pulling off the same trick but ends before it has been given any chance to progress. The most pleasantly surprising moment is ‘Seven Hour Drive’ which begins like My Bloody Valentine’s ‘When You Sleep’ and develops into a fine blast of buzzing, fuzzy guitar pop. Alas, several other tracks (‘Run, Run, Run’, ‘From One Wrong Place To The Next’, ‘Into Another Tune’) appear to be half-formed, shape-shifting experiments which confuse rather than entertain. At least there is a late recovery due to lengthy instrumental ‘Lineri’ which may conform to tradtional Krautrock values in some respects but it definitely has all the atmospheric and dynamic qualities to merit comparisons with their Teutonic forefathers. Then, to end with, ‘They Follow Me’ emerges from the beats and the bleeps to present a genuinely moving farewell. One only has to glance at their biography to realise The Notwist are a band who don’t take the easy route to success; seeking to reinvent at each point in their career. There are certainly great moments to enjoy here but ‘Close To The Glass’ is an album where sometimes you wish for the group to experiment slightly less and concentrate on the songwriting instead.